Demonstrating Value offers a simple process and helpful resources to enable you to use information and data more effectively to run your organization, plan for the future and show your value to the community. It was designed by community for community. The tangible result is a Performance Snapshot: an at-a-glance report that efficiently communicates your value and impact. This can be designed in basic office tools you have using the Demonstrating Value Workbook. This workbook sets out a process to work out what information is fundamental to supporting your decision-making and telling your organizational story. It also helps you communicate and use this information. Working through this process can uncover valuable insights into what really drives your mission impact and business success. Other resources and tools are available on our website to assist you, and can be filtered by subject area. The starting point in Demonstrating Value is to ask the question “what do you want to know and show?” The Demonstrating Value Lenses helps you to answer this question from two perspectives. 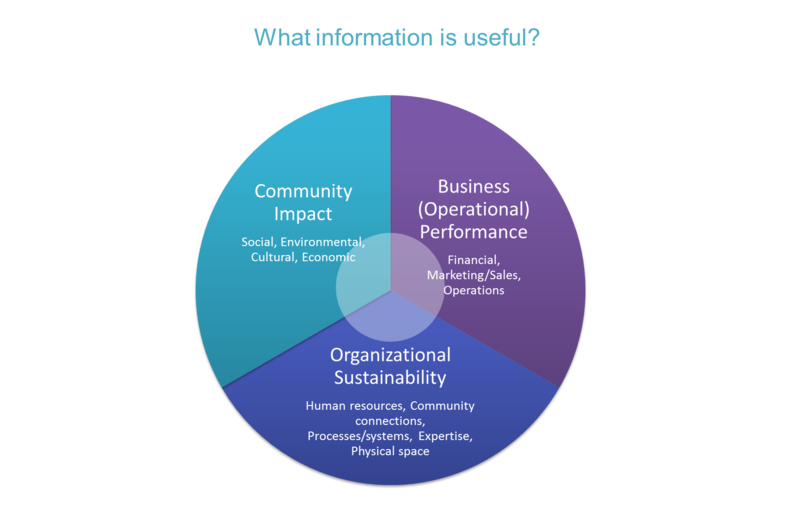 “What information is useful?” This helps you pinpoint exactly which data, indicators and other information are most valuable to gather based on looking at your organiztion in terms of its mission impact, business performance and organizational sustainability. 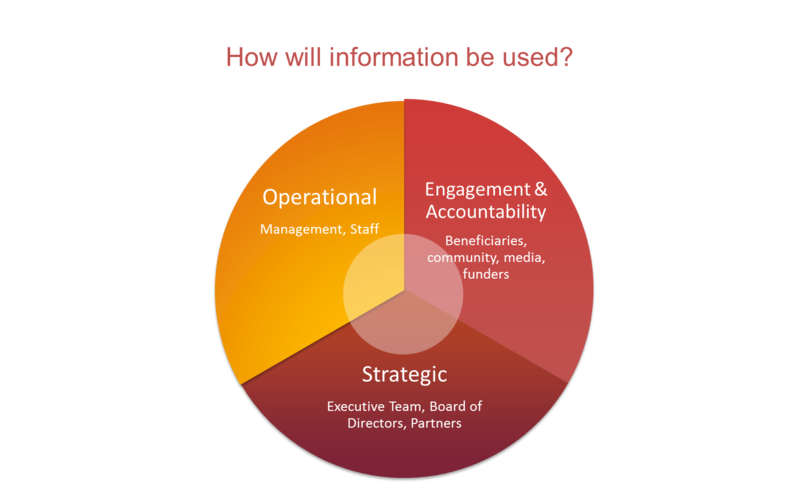 "How will information be used?” This gets you thinking about how you will use the information you gather, who needs to know it and how you can relay it as efficiently as possible.